The reality is that as we get older we start to slow down. Muscle mass begins to diminish, our v02 max decreases, and we start to slow down. Nevertheless, there are many masters athletes who continue to perform at a high level well into their 40s. 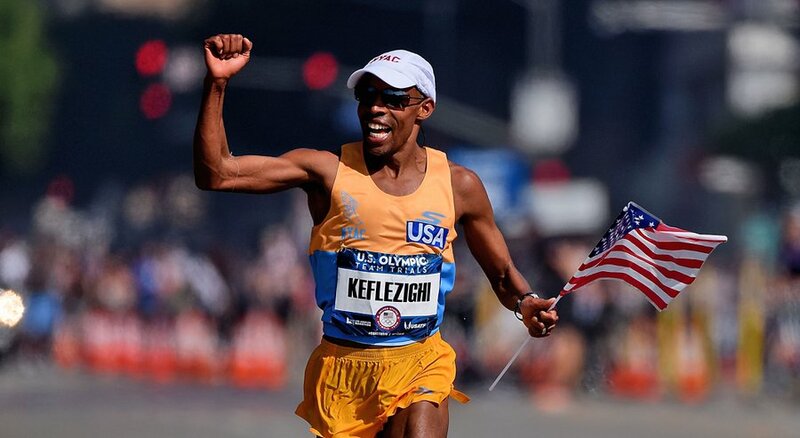 A perfect example is Meb Keflezighi who recently turned 40 and qualified for the U.S. Olympic Marathon Team this month. There are many things that older runners can do to stay at the top of their game as they age. It becomes much more important to train intelligently and keep up with ancillary exercises that can help to improve mobility, stability and strength. Below are a few key things to incorporate into your regime to stay fast and healthy. Seven-day microcycles work well for most runners, but they are not ideal for many masters runners because master runners don’t recover as quickly from intense efforts. The traditional seven-day microcycle packs three quality runs into seven days. For example, Tuesday would be an interval session, Friday’s threshold would be a threshold run, and Sunday would be a long tun. This can really be just too much stress in too little time for the typical masters runner. This is why a nine-day microcycle for masters runners can be great. It has a few advantages. One is that it offers a neat-and-tidy routine of two “easy” days following each “hard” day. I find that the body settles into a nice, progressive rhythm on this steady routine. You get to know just how hard to go on hard days and how easy to take it on easy days to keep your fitness moving forward. There is little risk of doing to much intensity and the body is always primed and ready for key workouts. It is easy to forget that it is these key workouts that make us into better athletes, it is better to air on the side of doing a bit less but mantain a constistent level of training rather than hitting it hard for two weeks and being laid up on the couch for a month after. An example of this schedule would be a interval session on Wednesday, a long run on Saturday, and a Threshold run on Tuesday. Many older professional runners such as Haile Gebrselassie and Deana Kastor train this way and continue to compete at a incredibly high level. I also know many younger runners who have adopted this cycle as they find that it keeps them injury free and limits the chance of over-training. Most of us, especially those that have been running for years, have some sort of bio-mechanical issue, maybe it slows us down, maybe it makes us injured, but most of us`have one, and many of us have quite a few. It may be weak glutes, or a lack of mobility in the hips, whatever it is, it’s affecting you, and it will probably get worse with age, so start working on it now. If you don’t know what your weakness is, then go find someone who can tell you. We have plenty of great physical therapists in our valley and Carolyn Parker from Ripple Effect is another awesome resource who works with a ton of athletes in the valley. As we creep into our 30’s but especially as we cross over that 40 year barrier we lose muscle mass at the rate of three to five percent per decade if we are inactive, and around one percent if we remain active. That muscle loss translates to reduced running economy (our VO2 max at any intensity). If we counteract that muscle loss via heavy strength training, however, we can maintain a similar running economy and relative level of fitness. Running economy is a measure of how efficiently you use the oxygen you take in while running. All other things being equal, if you improve your running economy, you should be able to run faster at the same effort level as you previously did at a slower pace (or you should be able to run the same pace with less effort). The resistance training group used a traditional rep scheme of 3 sets of 10 reps at about 70% of their max with a few minutes rest in between. The maximum strength group did a strength-oriented plan of sets of 3 or 4 reps, with longer rests at 85% to 90% of their max. The third group was the control, so the members of this group just ran. There were no confusing results with this one. The resistance group and the control showed no significant improvements, while the maximum strength group increased their strength in the gym and also their running economy. That means only the maximal strength training program caused reduced necessary oxygen at their marathon pace. Another important finding of the study was that the maximal strength training improved running economy and strength without building any muscle. The weight of extra muscle mass would be a detriment to most endurance athletes, since bodyweight is one of the most substantial factors in running performance. It’s important that you don’t just jump into a low rep strength program, athletes new to strength training need to adapt to the exercises for 2-4 weeks. During this adaptation period athletes should lift moderately, performing 8-10 reps per set. A recent study published in Medicine and Science In Sports and Exercise found that runners older than about 40 displayed much less activation of and power in the muscles of their lower legs, especially those around the ankle and in the calf. Consequently, the researchers found, these runners pushed off more weakly with each stride and did not rise as high into the air as younger runners, a change in form that accelerated as runners reached their 50s. While more research need to be done in this area to analyze the results that lower leg strengthening routines have on masters, it is probably a good idea to include some of these exercises into your program. Plyometric exercises such single leg box jumps are a great way to strengthen these muscles and provide a neuro-muscular stimulation as well. Stability work on a plank or bosu ball is a great way to strengthen the small muscles that control our ankles.